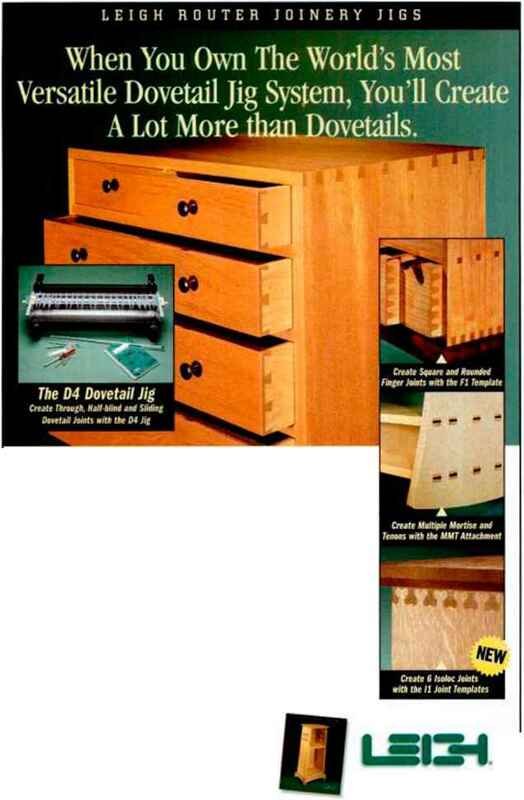 When You Own The World's Most Versatile Dovetail Jig System, You'll Create A Lot More than Dovetails. At the center of the Leigh Router Jig System is the amaiing 24" D4 Dovetail Jig. Create through, half-blind and sliding dovetails with infinite adjustment of joint spacing and tightness of fit in wood up to IV? thick. Add the Fl Finger Joint Template for an incredible range of squaw or unique rounded finger joints from V: down to a tiny V\b. All infinitely adjustable for fit with the Leigh Variable Guidebush System (VCiS). 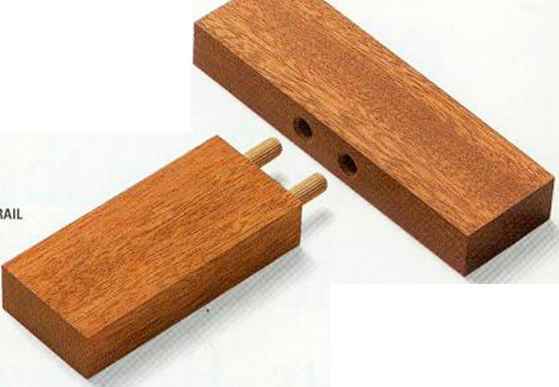 With the Multiple Mortise and Tenon Attachment you'll rout perfectly snug rows of multiple mortises and tenons, in virtually am layout you can imagine, and in material from Vfo" to \ Vf in thickness. And finally, the imrld'sfirst organically-shaped interlocking joints are easy to cut with our NEV Isotoc™ Templates. Three different boloc templates create six unprecedented joints thai are impossible to cut b\ hand. And again, you have complete control of joint tightness with the VGS. Precision. strength and beauty are the hallmarks of every Leigh joint. Create them all. from the dovetail and beyond with the world's best router jig system.